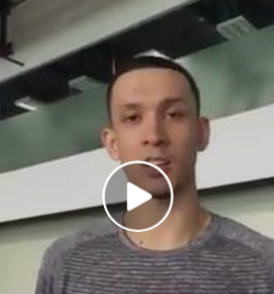 FB Scoop: Chris Ellis is all pumped-up especially now that Barangay Ginebra is on a roll in the Governors' Cup 2016. And, he knows that a big part of his team's success is the fans who are always at the games to cheer and clap. He showed his appreciation to them via this video greeting from admin NJay.